In a written parliamentary response on Monday, January 14, Transport Minister Khaw Boon Wan said that the Johor Bahru-Singapore Rapid Transit System (RTS) link project is experiencing delays in its scheduled timelines. MP Ang Wei Neng had asked for an update on the RTS link project in Parliament yesterday, specifically an approximate timeline. The reason that Khaw gave for the lag is that Malaysia has delayed the confirmation of the joint venture (JV) partner for the project many times. This had caused project milestones to be missed. The RTS is being built to connect Bukit Chagar station in Johor Baru and Woodlands North station in Singapore, and the projected date of completion is 2024. A bilateral agreement dating from January of last year mandated for a joint venture company consisting of Singapore’s SMRT and Malaysia’s Prasarana Malaysia to be formed by June 30, 2018. This joint venture company would have been appointed as the operator (OpCo) of the RTS Link, as per a Concession Agreement between the Malaysian government and Singapore’s Land Transport Authority (LTA) by September 30, 2018. Neither one of these deadlines were met. The Transport Minister reported to Parliament that Malaysia had said it was looking into changing its JV partner since the agreement began, and in September and again twice in December, it delayed confirming who the JV partner would be. Lately, it has requested a new deadline for confirming their JV partner, February 28, 2019. He also said that under the agreement, should the JV company not be appointed or incorporated as the RTS link operator, Singapore and Malaysia are obligated to call for an open tender for the appointing of an operator. The exception to this would occur if the countries both decided together to postpone the set deadlines. However, the Transport Minister said, there has been no response from Malaysia to the draft tender documents. On its part, Singapore’s LTA had put together almost 70 employees and engineers for the project. It has also called civil tenders for constructing related infrastructure. After last year’s General Election in Malaysia, the new administration put ongoing projects under review. Malaysia had said that the high-speed rail project between the two nations would be postponed, but that the RTS project would continue, according to Malaysia’s Transport Minister Anthony Loke. 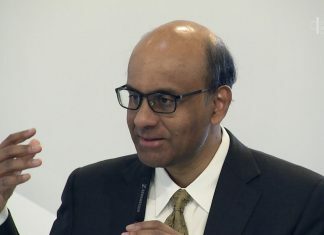 Khaw said that Singapore has extended understanding and patience after Malaysia’s elections, but “missing the agreed deadlines in the bilateral agreement to appoint the OpCo and thereafter failing to engage with Singapore to take steps to jointly call an open tender to appoint the OpCo has serious implications,” he added. 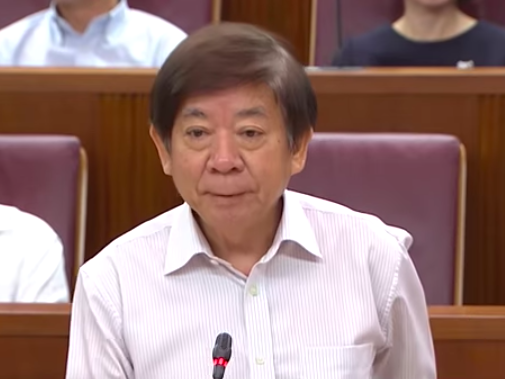 “The bilateral agreement is an international treaty that is binding on the countries that signed it, regardless of any changes in the government,” Khaw said. Because of these delays, he also said that the projected opening of December 31, 2024, would not be met.